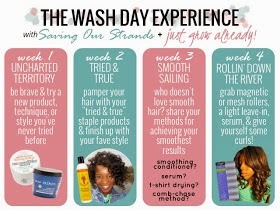 The wash day experience has themes again for September. This week's theme is 'Uncharted territory' aka try something new. I know my ongoing comb-free trial is new but I decided to bite the bullet and do a bentonite clay mask. I've used it on my face a number of times but not my hair. Bentonite clay is supposed to clarify (remove dirt and impurities and such) and detoxify. I figured this was the best time because as you know, I've been dealing with really heavy buildup lately. So. 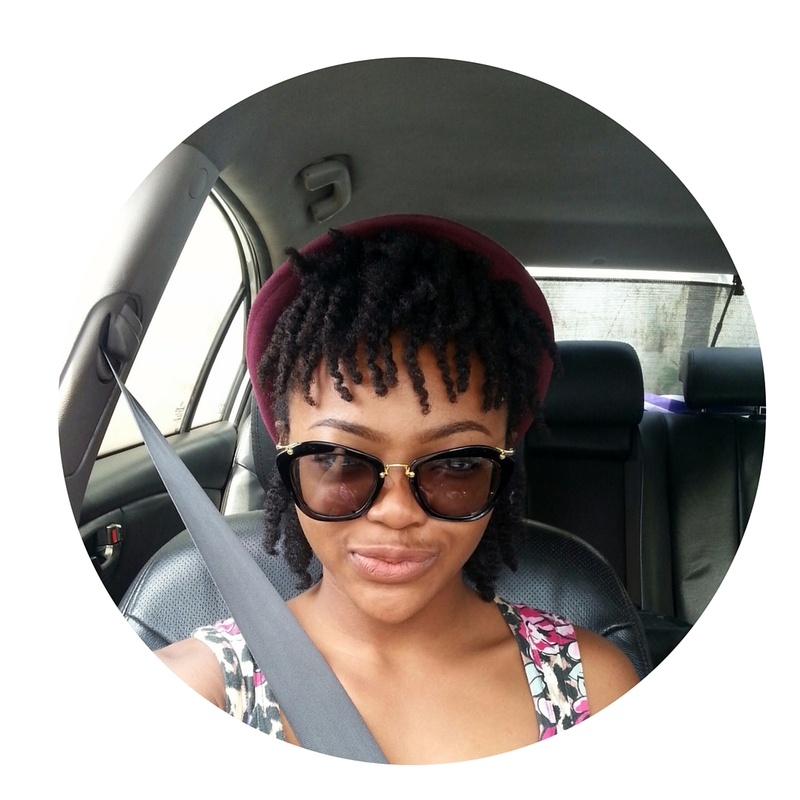 Undid my twists the day before. 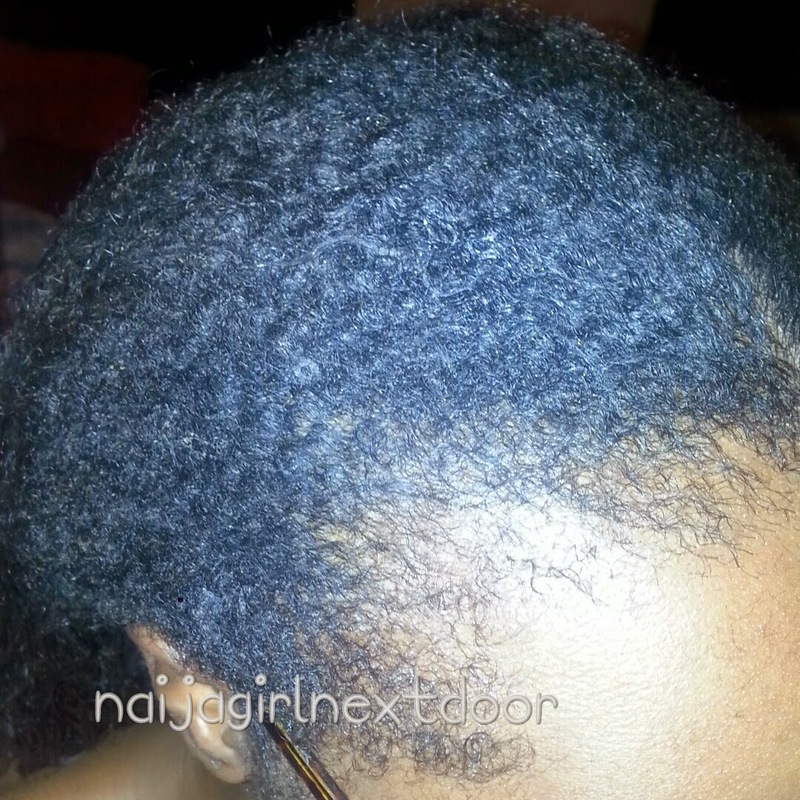 On wash day I detangled and put in big twists to wash. 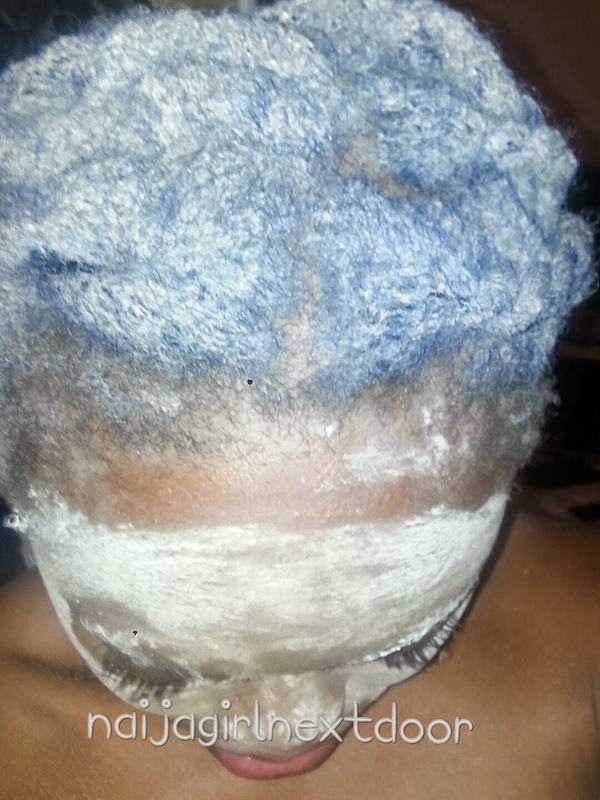 I mixed some bentonite clay with warm water, made a smooth yoghurt-like paste and coated my hair with it. I had some left over so I did my face too. My sis got back home, saw the mess on my hair and face and asked "what is this??" It's supposed to dry on your face but not your hair so I covered with a shower cap. Rinse- This is where things went awry. Much of it rinsed out. I saw it run down. Then the water ran clear. I thought it was all out. Then I touched my hair. Lord. It felt like a thin layer of silt had clung to it. The clay and the product residue in my hair had found true love. They weren't letting go. I rinsed and rubbed and rinsed. I cowashed again and again. Nothing. I had planned to dc after 'clarifying' but no way was I going to put more product on top. I couldn't even attempt to detangle because my hair felt gross. Funny enough my scalp was great. I put it in a ponytail and tucked the ends away, thinking I'll survive for a week before shampooing. It lasted a day. My hair dried crispy. I got back from work with fire on my heels, quickly parted my hair into four and shamooed with Creme of Nature Argan oil shampoo. No twists this time- I had to make sure everything got out. The first lather magically melted all the rubbish and coloured water ie clay+product ran down. Second lather (just to make sure) ran clean on three sections. One section required a third lather. Whew! My hair felt goooood. I dc'd with ORS Replenishing conditioner for 45 minutes under a plastic cap and rinsed with cold water + ACV. I tshirt dried and barely had any tangles to work through with my fingers. I bunned and tied down with a satin scarf for the night. 1. Never again with so much buildup. 2. Never again will i rinse off clay in twists. Your hair looks very moisturized and shiny. I've heard a lot about clay washes. 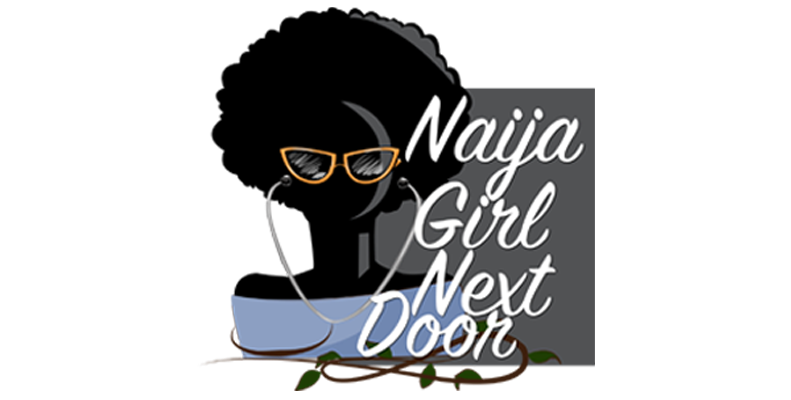 Would you ever recommend it to relaxed ladies? I pondered the same question Tamara! I wanted to try a clay wash but was unclear (scared) how to go about it. I may give it a go on my next wash day, thanks for the tips. Sorry the clay left you with residue. But at least you learned something new. I like the texture of your natural hair. sorry your wash day went that way,but hey! that's why its a hair journey. aww the ups and downs of a hair journey! When I mudwash, I use Aloe Vera Juice instead of water to mix (as it's super moisturising) and I also add honey to the mix (Honey makes it easy for my henna treatments to rinse out, so I think it plays a similar function in my mud washes) And then oils for more slip, and just because. This way it's super moisturising for me and works as a shampoo and deep conditioner, all I have to do is rinse clean (never any clinging), moisturise and seal!